In part 1, you heard about the worst bits of the proposed changes to SEVS after 2018. 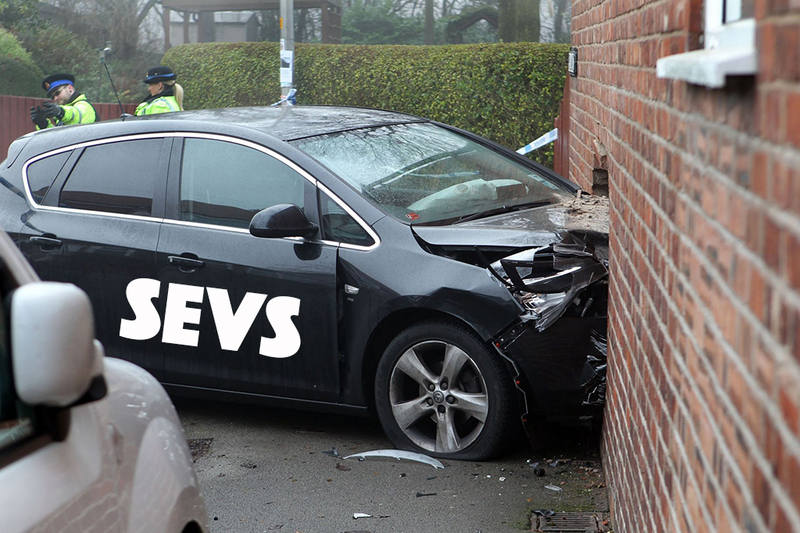 If you can’t be stuffed reading it all, the cuts are looking pretty savage – with people movers gone, at least 72% of cars being currently complied via SEVS will be chopped from the new scheme. As you can imagine, compliance workshops and other stakeholders viewed these cuts with a good deal of trepidation, and held on to assurances by those in government leading the industry discussions that they didn’t want us to shut down all together. Surely we should end up with a break-even scenario; being able to import the same number of vehicles as we do currently, right? With the recent release of the proposed thresholds for the new criteria, it’s looking increasingly unlikely that this will be the case. It’s a lose-lose – you, dear reader, miss out on having true choice over what cars you can import, and a sector of the automotive industry that employs many hundreds of people faces a very real chance of collapsing under the weight of the new legislation. So here is the ‘good news’ coming in 2018, and the catches that come with it. GOOD NEWS: Private buyers will soon be able to privately import any model they like from overseas. THE CATCH(ES): Well the above may be true in theory, but not in practice. Remember how the Productivity Commission and the Competition Policy Review both suggested we should have open access to import any cars under 5 years of age? This was the government’s half-arsed response. Initially, eligible vehicles needed to be less than 12 months old and have under 5,000km on the clock – a fair change from the original recommendation, but still workable. The problem is, the thresholds have now been whittled back to less than 3 months old and less than 500km on the odometer. In other words, the car has to be brand new. Naturally, while FCAI, the AADA and co will still kick up a stink about the lack of consumer protections and other great reasons that will somehow magically make us all believe that they have OUR best interests at heart rather than their own, they’re really not too bothered about this scheme because manufacturers already block their dealers from selling to overseas buyers. The only solution for private importers of ‘new’ vehicles will be to buy through a third party, further pushing up the total cost of the vehicle and making the option even less attractive than buying new. But don’t despair, the way it currently stands, even this anaemic version of the original recommendation faces being killed by the crossbench in the Senate. So much for democracy. GOOD NEWS: The current pre-1989 rule will become the 25 year rule. THE CATCH(ES): This is not part of the SEVS criteria, but it is worth mentioning because it’s a win, and vehicles coming in via this rule are certain to rise fairly rapidly. The catch is that the US also has a 25 year rule, so there’s going to be some fairly serious competition for anything tasty in Japan at auction. The other thing is that allowing 25+ year old vehicles to come in open slather and hit the road with minimal modifications goes completely against the government’s intended aim of making our vehicle fleet as safe as possible. I’m not complaining by any stretch, but it does seem incongruous. Oh and people wanting to import a 25 year old car from the US will have to wait 5 years (in most states) before they can register it LHD. Hopefully the states will come to the party when the time comes, or we’ll have a lot of cars sitting in sheds. GOOD NEWS: Model variants will now become eligible, providing they’re not sold in Australia, and the variant meets SEVS criteria. 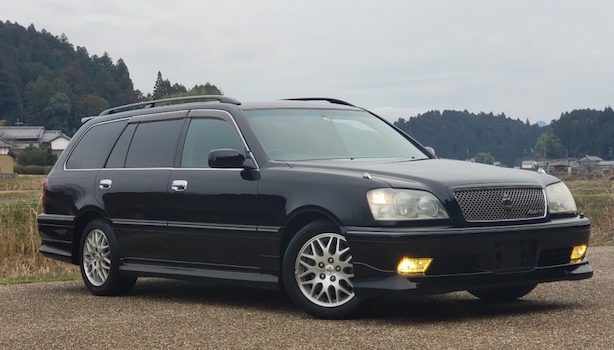 THE CATCH(ES): Awesome news for anyone who has wanted to own a Subaru Forester STi or any number of other cracking Japanese variants that are currently ineligible for import because the vanilla versions sold here new through dealers. But defining what constitutes a variant can be tricky at times, and you can bet that the boffins in the Vehicle Imports section in Canberra are going to make it very difficult for us when deciding eligibility. What’s more, much of this good news will be negated by the eligibility thresholds announced recently, especially for power/weight ratio. So it’s giving with one hand and taking with the other. GOOD NEWS: Power/weight ratios will continue to be used to determine eligibility. THE CATCH(ES): This is not good news. Not good at all. Currently, SEVS uses a power/weight threshold of 105kW/tonne to determine if a car is considered a performance vehicle, and therefore eligible for import. Even if this threshold were to stay the same under the new scheme, extensive research completed by AIMVIA indicates that, with the addition of variants, the potential pool of vehicles going through auction in Japan that we could choose from would only hit 11,000 vehicles. Given that a good number of those vehicles would not be of suitable quality and/or financially viable to import, the outcome would be a good increase, but not set the world on fire. One small problem: the proposed base threshold for SEVS has just been lifted to 120kW/tonne, with the ratio increasing 1kW/tonne for every year after 1992. In other words, if you want to import a performance vehicle that was built this year, it will need to be packing at least 144kW/tonne to be eligible under SEVS. In the context of already losing 72%, it’s this change that could spell the end for the industry. Based on the power/weight ratios listed by the Department of Infrastructure on their current SEVS eligibility entries, the following will no longer be eligible as of 2018: V35 Skyline, N15 Pulsar, Mitsubishi GTO, S15 Autech, S13 (apart from SR20 turbo), 180SX, ST246 Caldina, Aristo, C34 Stagea (even 260RS), M35 Stagea, S170 Crown Majesta. The list goes on and on. To make matters worse, some models become ineligible half way through their model cycle, so the EP3 Civic Type R is eligible in 2001 and 2002, but doesn’t meet the new power/weight requirements after that. The V36 Skyline Crossover is ineligible in AWD, and in RWD only qualifies in 2009 and 2010. What a shitfight! GOOD NEWS: All hybrid or electric variants will be allowed. THE CATCH: …if not already sold in Australia. No doubt this is a good thing for the environment and possibly a new niche that can be carved out for those currently in the industry, but again, it’s a niche rather than a game changer. A cynic would argue that this change is being used as a prod to get manufacturers to sell them here new (which, in turn, is often done to block importers from importing them). GOOD NEWS: Mobility vehicles will be allowed. THE CATCH: They must be as originally manufactured, which is hard to prove. Autech, for example, does a lot of retro-fit conversions for Nissan vans after they’ve been delivered new. It makes sense to have it this way to avoid importers sneaking in camper vans again, but it’s still sad that we cut off jobs for local wheelchair conversion jobs along the way. This is the category under which people movers could theoretically have been included (ie must seat 8 or more people), but with the department having asked importers to come up with a way to include people movers in the new criteria, it looks as though this suggestion will now be ignored. GOOD NEWS: Rare vehicles will be allowed. THE CATCH(ES): The thresholds are the manufacturer must average less than 1500 vehicles built per year, or the model must average less than 500 vehicles built per year, or the variant must average less than 50 units built per year. Basically, this doesn’t allow in very much at all. Vehicles that might be of interest in the UK (such as TVR) aren’t required to pass all the European safety regulations, meaning that while they may be eligible through this criterion, getting one complied here will be next to impossible. Bear in mind that if the variant is sold in Australia, this also precludes the same make, model or variant coming into the country through this criterion anyway. The original idea was that vehicles eligible through rarity wouldn’t have to be converted if they were LHD – think cars such as the Bugatti Veyron, Ferrari La Ferrari, Koenigsegg etc. which you’d never dream of cutting up and converting – and could stay that way for limited-use road registration. The response was ‘oh you’d would never get LHD registration past state registration bodies’. Really? Who is in charge of who? The best way to start change is from the top; let the cars in, then put pressure on the states to allow them to be registered LHD! 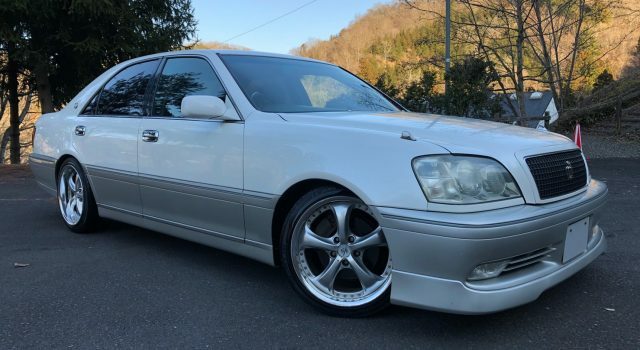 It’s worth noting that virtually every rare vehicle worth importing would meet power/weight requirements anyway, making this criterion almost useless. GOOD NEWS: Left Hand Drive vehicles will be allowed, with no need to meet performance criteria. THE CATCH(ES): The vehicles obviously still need to be converted to right hand drive though, and with cars becoming more and more complex, the cost of conversion will push most vehicles well beyond the point of being competitive on price. Current conversions of most LHD cars cost in the region of $35-40,000. Not many people are going to attempt the process unless the donor car is already very desirable. Because of the way the new criteria is structured, larger conversion companies that have spent millions of dollars on low-volume new testing procedures in order to retain sole rights to certain models will soon find that they’re lumped in with everyone else. Good for competition in the marketplace (and therefore for the consumer), not so good for the companies who have made massive investments in this area. It’s also worth noting that the new LHD criterion only covers vehicles and light and medium commercial vehicles. Companies that currently import and convert heavy vehicles such as Peterbilt now face being shut down as of 2018. So that’s it. Can you see the 72% being replaced? Neither can anyone else in the industry, and the reality is that time is running out before the legislation will be introduced to parliament. Mad? Want to do something useful?